As a former Girl Scout Leader and community volunteer from Scarsdale, New York, I am inspired and aware of the needs of others, especially when it is easy to help. I am living in Dubai, UAE now and had the opportunity to visit Kenya recently. I was there before and knew how needy the schools were. 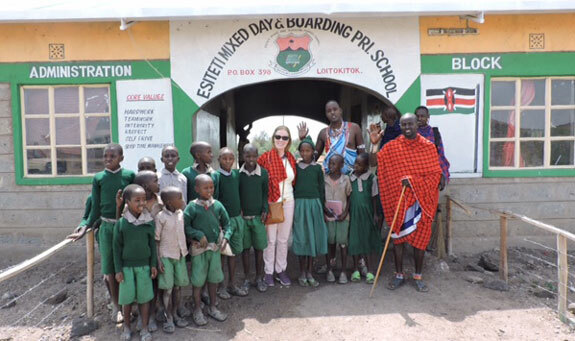 I connected with Paris Karanja, a woman I met at a restaurant in Dubai, and she told me about Esiteti schools near Amboseli National Park. I was planning a safari anyway so I decided to go to Amboseli National Park because it was close to Esiteti . I booked with Tortilis after learning they supported Esiteti primary school. Candy at Tortilis Camp provided the details about Pack for a Purpose. 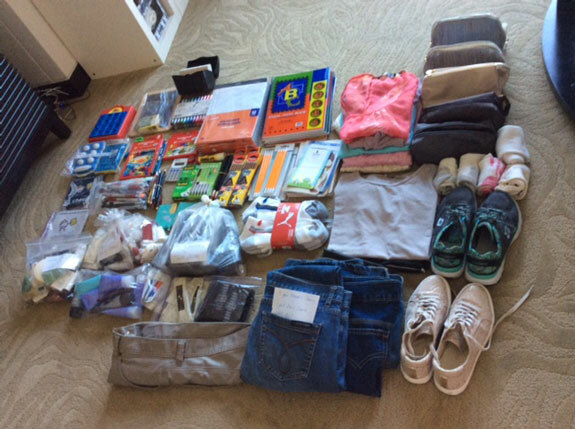 I asked a few friends in Dubai if they had gently used clothing they could give me and asked my Girl Scout friend in NY to send school supplies. I also collected toiletries like tooth brushes/paste, soap, lotions, etc. I dedicated one suitcase for my supplies and visited the primary school supported by Tortilis Camp and a nearby nursery school. Mulanti Lenkauni was the Massi leader that accompanied Paris Karanja, her daughter and me to the nursery school. What a rewarding experience for me.